2018 marks the 250th anniversary of Captain James Cook’s first voyage to the Pacific. 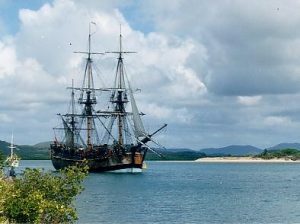 A pivotal moment in the history of exploration, Cook’s voyages influenced many areas of science and endeavour – from astronomy and geology to natural history and anthropology. This international meeting, held in association with the British Ornithologists’ Club, will focus on the lives, encounters, contributions and legacies of many of those involved in the history of natural history exploration around the world, from land to sea – the risks they took, the discoveries made, their contributions to science, and the ingenuity and endeavour involved in the process. For those interested in the life and work of Lord Stanley, the 13th Earl of Derby, a lunch and tour of Knowsley Hall has been arranged for the afternoon of Wednesday 13th June. (Further information about arrangements for pickups from Liverpool City Centre and/or Liverpool South Parkway station around 12.00/12.30 will be circulated nearer the time). The Society’s AGM will take place at lunchtime on Thursday 14th June. Participants are encouraged to book their own accommodation. A list of hotels close to the World Museum are available on the Society’s website https://shnh.org.uk below. There are lots of self-catering and apartment type places too, mostly around the Hanover Street area. See Booking.com or Laterooms.com for more options.